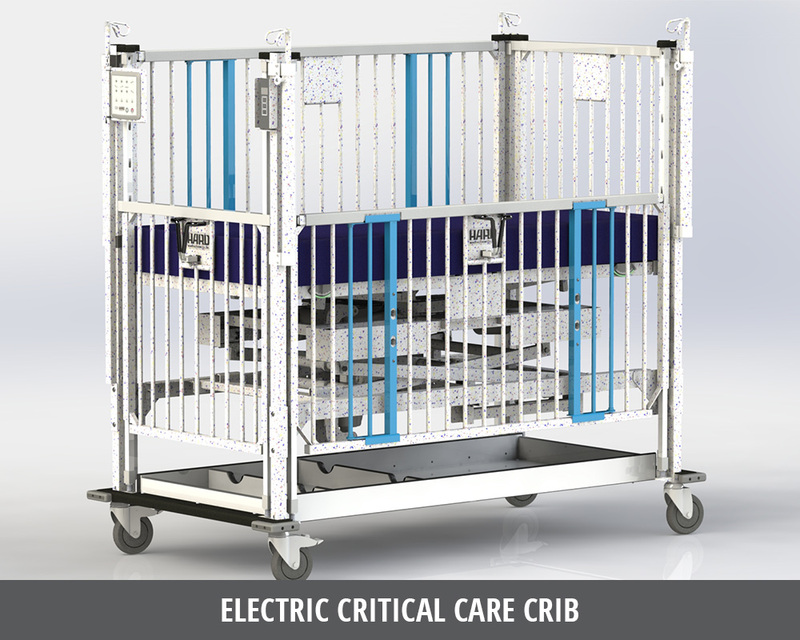 The Critical Care Crib II is designed for the more active pediatric patient in the PICU. Features consist of an electric Hi-Lo System, for caregiver convenience and patient access. Additional product components include vinyl safety panels allowing for increased patient safety while still allowing them to view their surroundings.